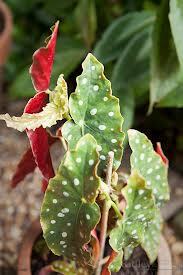 Our favorite Begonia! What’s not to like about this amazing plant? Bright white polka dots, deep burgundy underside of the leaves, cheerful sprays of white flowers, all wrapped up in a fast growing vigorous plant! We sell this beauty in quart containers.